Sometimes we find ourselves in situations where a family, friend, or coworker needs emergency medical assistance. While these instances are never a good thing, it is something that we need to prepare for. 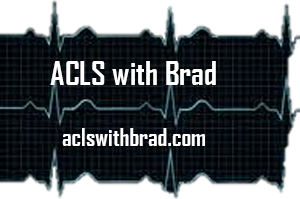 At ACLS with Brad, we offer CPR training that shows you how to save a life. We also have health care training that allows nurses, doctors, and paramedics in the Houston, Texas area get the proper certification to continue practicing medicine. Every student must bring a current textbook to ACLS/BLS and PALS classes. Complete the pre course preparation checklist that came with your ACLS/BLS or PALS Provider Manuals. Bring the checklist with you to the course. Don't forget to bring your current BLS, ACLS, or PALS card to class with you, so you can continue being exceptional at your job. We offer programs for medical professionals who are seeking to renew their certification. Our classes refresh your and renew your ACLS $135.00, PALS $135.00, BLS $40.00, Heartsaver CPR/AED $50.00. First Aid/CPR/AED certification for $50.00.